Toyota of Hollywood has a reputation — in fact, we have the oldest reputation of any Toyota dealer in both Los Angeles and the United States. We have proudly served West Hollywood, Los Angeles, North Hollywood, Glendale, and Burbank drivers since 1957, when we were the first Toyota dealership to open in the United States. Our LA Toyota dealership carries the full lineup of new Toyota models — as well as a diverse selection of used vehicles (including Certified Pre-Owned Toyota vehicles) — in order to give you access to the most options possible from a Los Angeles Toyota dealership you know and trust. As part of the LAcarGUY family of dealerships, our sales team prides itself on delivering outstanding, seasoned customer service — visiting us will be just like the time your parents and grandparents came to us for their Toyota cars in LA. After you’ve found your next new or used car at Toyota of Hollywood, a member of our finance team will work with you one-on-one to find the most affordable financing solution—you can even fill out our secure finance application online to get started. We’ll answer any and all of your questions so you fully understand your loan or lease before driving home from our Toyota dealership in Los Angeles. Toyota of Hollywood also has a state-of-the-art service center staffed by Toyota-trained technicians who are here to care for and repair your vehicle so that it runs dependably for years. We’ll take care of anything from an oil change to serious engine repairs, and we’ll work hard to put you back behind the wheel as soon as possible. 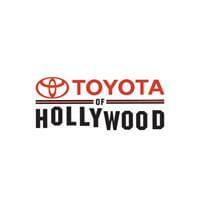 Stop by Toyota of Hollywood and see why drivers have been choosing our LA Toyota dealership for over half a century. We’re conveniently located at 6000 Hollywood Blvd, just a short trip for Burbank, Van Nuys, Los Angeles, Glendale, and North Hollywood drivers. Contact us online to learn more about our inventory or to schedule a test drive.